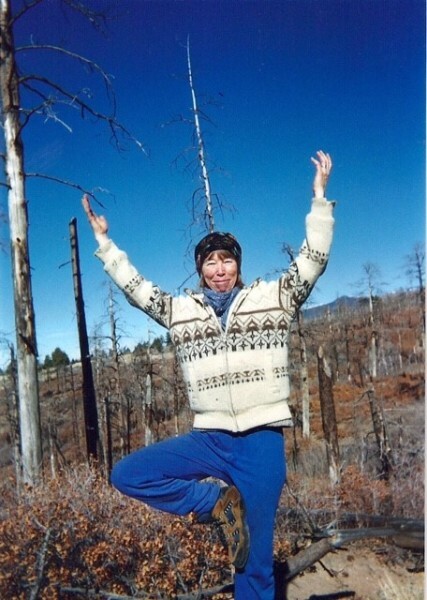 I have had the privilege to lead dozens of retreats in the last 25 years as a yoga teacher. The retreats have ranged in length 2 days to 2 weeks. My own experience as a retreatant is a deeply treasured part of my life. It has taught me to become aware of the daily opportunities for renewal and reflection which feed my spirit and provide a foundation of support. The effects of a retreat to do not end when you go home. It is a wonderful surprise to find that such a journey, which begins with a commitment to step into the mystery of our own inner existence, keeps blossoming and unfolding endlessly. I am reminded of the words to a winter solstice chant you may know: "Every time I go into the darkness.....I return with fistfuls of jewels." I hope you'll join me as I fulfill this dream of a two month winter retreat. I will be there to support you by providing a warm fire, clean space and restorative yoga if you chose. We can walk together or you can walk alone. This is your time to create.